Kansas Secretary of State Kris Kobach, left, faced off in a Republican governor candidate's forum with Gov. Jeff Colyer, above, and Ken Selzer, the state insurance commissioner. Being the incumbent may give Jeff Colyer a leg up in the Republican race for governor, but it also makes him a target. His chief rivals, Kansas Secretary of State Kris Kobach and Insurance Commissioner Ken Selzer, used a forum sponsored by the Kansas Republican Party In Atchison to characterize Colyer as a poor manager and weak leader on conservative causes. “We need a governor who is going to seize the conservative flag and march into battle with it,” Kobach said in the Friday night event. Kobach continued to call himself a “full-throttled”conservative and criticized Colyer for supporting a school funding bill backed mainly by moderate Republicans and Democrats. “That $500 million bill should not have been passed and should not be signed,” Kobach said, insisting it can’t be funded without a tax increase. “That bill is a house of cards,” he said. Colyer hailed the bill as a good compromise. He said it increased the state’s investment in education while holding schools more accountable for improving student performance. “I am proudly going to sign a bill that puts more money into the classroom and actually makes sure that we have outcomes,” Colyer said. If elected, Kobach said, he would assign every Kansas school a grade based on student performance. Students attending failing schools would receive state vouchers so they could transfer to the public or private school of their choice, he said. All three candidates expressed support for a proposed constitutional amendment that would remove the Kansas Supreme Court from the funding debate. Kobach said it’s time that lawmakers and the executive branch “stop getting rolled” by the Supreme Court. But heading into the final week of the legislative session, the amendment appears a longshot to pass. Two-thirds of House and Senate members would have to vote to place it on the November ballot. Colyer attempted to shore up his conservative credentials by referring several times to his stint as a White House fellow during the Reagan administration. “I learned about good Republican leadership from Ronald Reagan,” he said in his opening statement. 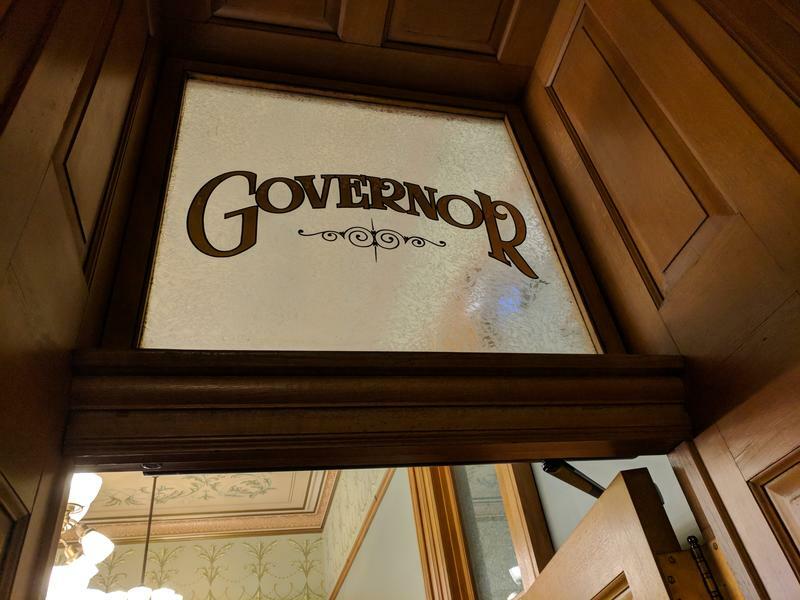 He also addressed an abortion case pending before the Kansas Supreme Court that could decide whether the right to an abortion is protected by the state’s constitution. “Does anybody in this room believe that the 1859 Kansas Constitution had a right to a ‘dismemberment abortion?’”Colyer asked, prompting a chorus of “no” from many in the audience. “I will only select judges to the Kansas Supreme Court who will interpret the Kansas Constitution as written,” he said. Colyer, a physician, said the privatization of Medicaid that he led as former Gov. Sam Brownback’s lieutenant governor has substantially reduced costs while producing better health outcomes. Selzer said the rocky transition to managed care shouldn’t be touted as a success story. “We implemented a new Medicaid program and we didn’t manage it,” Selzer said. That KanCare program has draw frequent complaints from both providers and Medicaid patients about increased red tape and reduced services. Selzer, a certified public accountant, said he would use his business background to improve the efficiency of state government. He said years of mismanagement have resulted in a lack of innovation and investment across state government, from education to economic development and infrastructure. Jim Barnett, a former state senator, was not included in the GOP-run event because he refused to sign party debate rules. That unwillingness to promise no attacks on the opposition also kept him out of a Wichita debate in February. Jim McLean is managing director of the Kansas News Service, a collaboration of KCUR, Kansas Public Radio, KMUW and High Plains Public Radio covering health, education and politics. You can reach him on Twitter @jmcleanks. Kansas News Service stories and photos may be republished at no cost with proper attribution and a link back to the original post. A crowded race for the Republican nomination for governor in Kansas has candidates looking for ways to stand out. At a forum held over the weekend in Wichita, the hopefuls signaled how they hope to separate themselves from the field. Secretary of State Kris Kobach wants primary voters to see him as the true conservative in the contest. Campaign reports filed this week show a bunched field breaking from the starting gate in the Kansas race for governor. Some handicappers’ favorites — notably Secretary of State Kris Kobach — trail at the rear of the pack. Still, only a few of the dozen candidates thought to hold potentially winning pedigrees appear in danger of fading fast.